Most people view culture through the kaleidoscopic prism of travel and tourism: the exotic, glittering differences that sear the senses – the smell of incense, the colours of freshly ground spices and the way they catch in the back of your throat, the sound of a tuk-tuk or the azaan. Few see its other side; the restrictive, controlling, imprisoning aspect, a grid reference for life and living, a means of imposing sameness; a human construct not a natural wonder. An indelible stereotype. Culture can be captivating and deadly – like a Venus Fly-Trap. You may be screaming to break free of it or banging on the door to be admitted. I’ve been both. Everyone has a cultural role. Whether a visceral blood-tie or an administrative passport identity, we acquire it somewhere along the way and are bound by unwritten rules to uphold it, celebrate it, answer for its shortcomings and rejoice in its gains – agree or disagree, our loyalty is non-negotiable. It all seems strange to me, reminiscent of picking teams at school or some other such shortsighted grasp at social elitism/exclusivity, yet it’s the bouncer on the door of international relations. 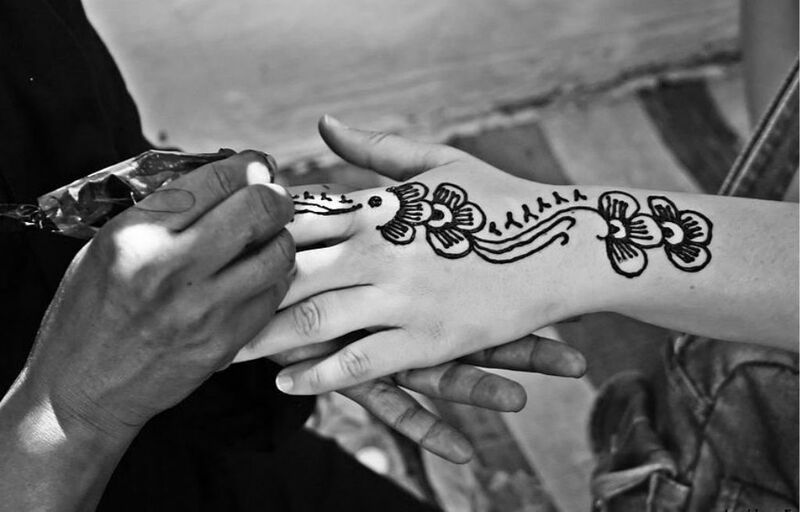 It’s what makes cross-cultural marriage a social taboo. Having married into a South Asian family I’m not sure which is worse – being labeled a traitor to my culture by members of the race I live among or spurned by those I sought to embrace. My new family perceived ‘Western’ to be less a directional designation than a receptacle for all the ills of the modern world. It meant liberal to the point of immorality, Godless, selfish and arrogant. It was something I unwittingly and unavoidably became an apologist for. The funny thing was we had much in common. I too was born in a country with a blasphemy law, with no shortage of people to tell you what you’ll burn in Hell for and exactly how it will feel. Ireland, like Pakistan, is convinced of its direct line to the Creator. I too had moved to a colonial power that once scorned and sought to control my countrymen. I too had endured racist taunts. We may have been from different parts of the world but our experiences were a common bond. But they didn’t see that. Each News episode or differing cultural perspective was an opportunity to highlight hypocrisy and lay blame at the door of the West. ‘Amreeka’ (America) was the great ‘shytan’ and ‘ghoré’ (white people) were all tarred and feathered with the same brand of moral and spiritual degeneracy. Call me stupid (I certainly did in the years that followed, though I prefer patient and even-handed now), but my admission into the heart of a Pakistani family still left me humbled and honored. I felt a bit ‘David Attenborough’ – conscious I was privileged to experience something inaccessible to many Westerners. In the same way I’m randomly struck by the delight of remembering, “I’M IN CANADA!” there were moments when I’d view the scene from outside myself and feel amazed to be a part of it all – asking in Urdu if anyone wanted chai, watching Kasautii Zindagii Kay on STARPLUS, my father-in-law reclined on the floor in front of the electric heater leafing through the Daily Jang, half-listening as everyone debated the latest real-life family drama – yet, however involved I was, I never lost that feeling of being just outside the circle. My skin was an inescapable reminder of my Western-ness, as a child’s features confirm its true parentage regardless of names on a birth certificate. Throwaway comments hinted they were waiting for me to reveal my true colours, for the façade to drop and their suspicions to be endorsed. My imagination often cast me in the role of researcher, conducting an observational study, but I wasn’t alone – my new family conducted experiments of their own. Tentatively we danced around each other, feeling our way in this pioneer relationship, exploring the boundaries of what we could say and do. My sister-in-law asked in the darkness of a shared bedroom what nightclubs were like and confided her fears about marriage, but raged to her mother when I wore knee-length shorts and a tank top. One part curiosity, one part mistrust. My mother-in-law, for her part, liked to take advantage of my cultural naivety by jovially asking how I’d handle things when K took a second wife (it’s commonly held up to four wives are permitted in Islam, though not without the fulfillment of certain conditions). I found it incredibly difficult to weather this kind of provocation and my budding trust in my new husband needed a lot of reassurance once we could speak in private. I learned the deeper meanings of the innocuous. Noticing I was reading a book by Deepak Chopra, my husband advised me not to let my in-laws see it. They would be suspicious of me reading something written by an Indian. Time passed. My Urdu and Punjabi improved, the cultural etiquette became second nature, I attended shaadi’s (weddings) and janaaza’s (funerals) where my father-in-law extolled the virtues of his ghori bahuu (white daughter-in-law) to friends. I passed recipes for gulab jamun on to my mother-in-law and ran up my own shalwar qamiz on my sewing machine. But excoriating criticism of my same-skinned compatriots and Western culture continued. I was torn between feeling like an honorary Pakistani, part family life and culture in spite of my skin colour, and a Guy Fawkes, subjected to the burn of inflammatory remarks, a scapegoat for my tribe. I didn’t know whether to be insulted or exultant. Was it a sign I’d been accepted, this confiding of grievances? As it turned out… No. Kinship plays a significant role in Asian families. Each relation has certain duties and responsibilities and as wife of the eldest son, I had a caretaking role as far as the household and younger siblings were concerned. This position ordinarily earned an individual the respectful and affectionate term ‘bhabhi’ from junior family members. Not for me. Similarly, although I called my father and mother-in-law Abuji and Mummyji, they never referred to me as ‘beti’ (daughter). I’ve benefitted immeasurably from my immersion in Punjabi culture, however uncomfortable it might have been at the time (going to meet my in-laws after marrying against their wishes was the hardest thing I’ve ever done). I still believe I’ve had a golden opportunity – compliments from strangers when I wear shalwar qamiz, ‘You look beautiful didi!”, and the surprised smile when I pepper a sentence with Urdu remind me of this. My worldview has expanded, enriched by kathak, Bollywood, South Asian literature, Qwaali, chillies and masalé, and an ability to see things from more than one angle. It’s sad my in-laws don’t feel the same way. Do you think the in-laws will ever come around to your relationship or will it forever remain the same? Three kids, several countries, and a strong central bond… Sad to think that some still won’t see the positive from your journey together. It’s a shame but even if they did some time in the future, so much has happened I could never trust them. I can forgive and, to a degree, understand – but self-preservation means you don’t discard lessons of experience. If, after 10 years, there’s no love there for any of us, I doubt it will spring from nothing. They are currently still trying to make things difficult for us. The great thing is, I’ve gained from the experience and nobody’s behaviour can change that. It may be a sad situation but there are positives to be appreciated. Wow. I’m blown away by this. Brilliant observations beautifully rendered. My heart goes out to you for the difficulties you’ve faced in fitting in trying to hard to be a “part of” but learning the limitations. I’m definitely sharing this. Glad I found you through the multicultural kids blog! I’m a very inconsistent member of that group, but I love that I get to stumble on things like this!! What a beautiful article. I believe what you describe is the prize to pay for living between to cultures. I often feel that I am not Polish enough to other Polish people, and yet not German?Dutch enough for my in-laws and Dutch people. I see it in a different way-that I get the best of both- or even more worlds. I also love that you describe the negative aspect of culture- it creates a feeling of belonging but at the same time, it is also about judgement and shaming of those who are different- this is why I say that culture is like an elephant, it can help you carry a heavy burden or crush you. But in the end, it’s you who decides what elements do you choose from which culture. I shared this on my FB page, it’s a great one! This is poignant and touching, and completely relatable. Thank you so much for sharing! You do not necessarily have to be marrying into another culture as the reason for them not accepting you. I am the same race, religion, culture as my inlaws and they never truly accepted me. The family, which is large, also has never truly accepted me. Funny thing was, my family completed accepted my husband. It is people and the way they have been brought up, which applies to all cultures. This is true, and my husband is certainly of the opinion it wouldn’t have mattered who I was, the outcome wouldn’t have been any sweeter! It’s so sad that your in-laws have chosen this path to divisiveness. It’s truly their loss. Thank you for continually opening your heart and soul! Though much less fraught, I see some parallels with my own path to acceptance with Liam’s parents (his father, in particular). His parents brought over their old Irish values with them when they moved to London back in the Fifties. While Ireland has changed dramatically, they’ve stayed the same. No blacks, no divorce, no career women and definitely no queers still rule the roost. While his dad likes me, plies me with whiskey and lets me stay, he still can’t bear for anyone to know who I am. Oh Jack! Isn’t it just bonkers? All that stress and angst for what? Still ruled by ‘what will the neighbours say’… It must be a very double-edged acceptance. This is a remarkable article, with crystal clear insights and uniquely touching descriptions, rendering it an invaluable piece of work. I am so sorry you have had such experiences! I am married to a Sikh. His family in India are nothing but loving, accepting, and gracious. His friends and extended family, (there and in the West)the same. My time in India was not uncomfortable for me and I could not be whiter skinned. My Finnish and American family never had any issues with us either. I think it depends on the people involved. Sure culture is is culture. And yes,cross cultural/inter-racial marriages get looks..you are in a challenging culture that is still evolving to begin with. FYI: Our son is from yet a 3rd country. He fits in well in India; in fact there, no one questions him having a white mother, or a brown dad as they do frequently here in the USA. You are dealing with Pakistani mores; our close friend from there notes it is a world different than India, even though the peoples were truly from the one source at one time – Oh, and remember Bollywood is for fun – it is Not Asia. Thanks for commenting and sharing your experience. Early in our relationship my husband used to say his family were ignorant and it made me feel uncomfortable, as if he was being derogatory. Now I know he wasn’t. He was merely calling a spade a spade – speaking forthrightly. His parents are largely illiterate, and are simply incapable of behaving any other way.